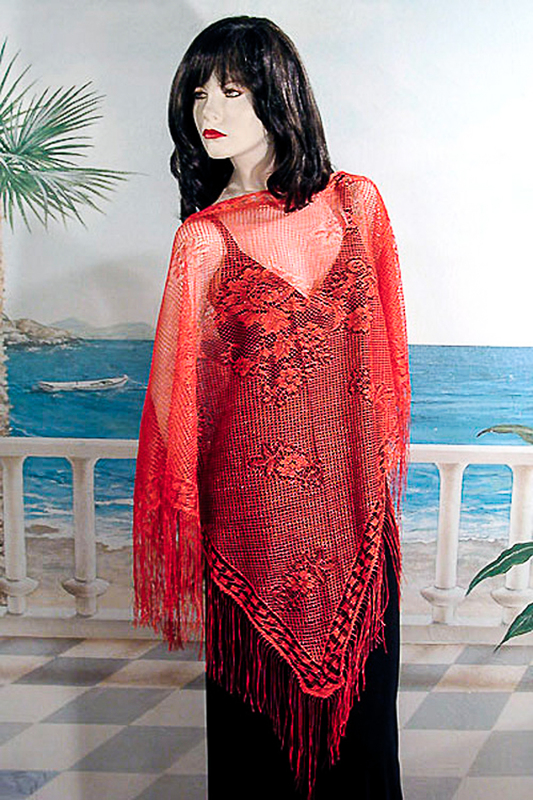 Lace Lace Ponchoo with Floral Design Large lace floral poncho. This is a beautiful evening wrap. It has a large flower design in the center on the font and back and small flowers throughout. The edges are finished in a similar design with long fringe extending from the hem. It is a dramatic evening wrap and work equally well for daytime. Color: red Hue: Code: #FF0033.